Hi there—today I’m finally bringing you my next edition of Sky’s the Limit, a blog of Q&A-style interviews featuring women entrepreneurs from Columbus, OH. I know it’s been a while since I last shared a Q&A sesh with someone who’s inspired me, but today’s badass lady boss will not disappoint. 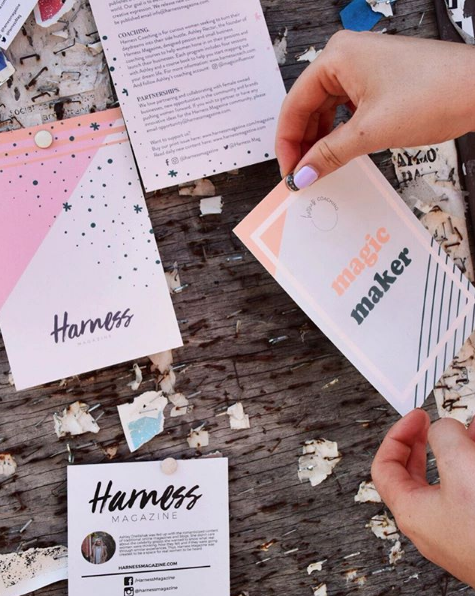 Ashley Rector is so many things—she’s definitely a magic maker, she’s a lawyer, small business coach and the creator of Harness Magazine, a digital and print publication that features articles, artwork and poetry from women around the world. Her mission is to elevate the voices of women everywhere through Harness. It’s a go-to read of mine because the stories are authentic and raw. 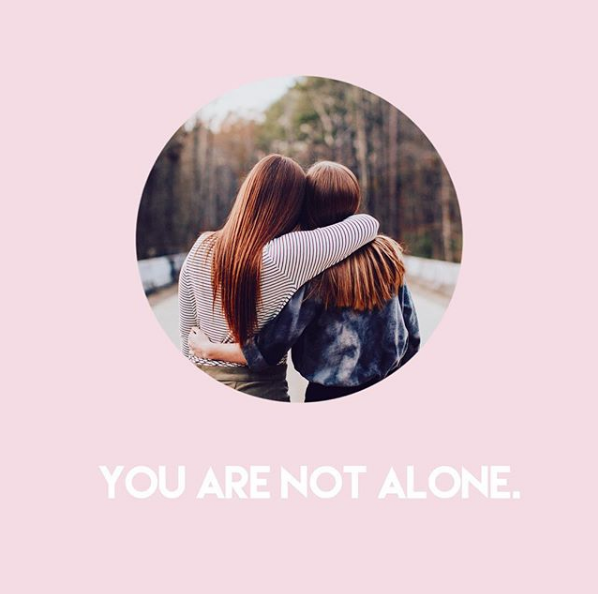 The women contributing to Harness Magazine aren’t professional writers; you get to hear from real women who are facing the same challenges you are, and that’s what makes the publication unique. When you read a Harness story, you’re giving someone like you a chance to have their voice heard and you’re telling them their stories and artwork matter. Below is Ashley’s story and advice for young entrepreneurs and wannabe bosses. I hope Ashley’s story inspires you to live fearlessly and pursue your dreams. Enjoy! Harness Magazine was founded in 2016—Can you tell me a little bit about it and why you started it? I started it out of necessity. I wanted to connect with like-minded people. At the time, I felt the material I was reading in other magazines was superficial; I knew there had to be something more. My friends were navigating heart break, relationship problems and loss, but I wasn’t reading about those experiences. I wanted to know what was going on in the lives of the women around me; so I created a space for those stories! How would you categorize publications like Thought Catalog or The Lala? I love how they feature real, organic stories but you have to be a professional writer to contribute to those publications. That’s why I started Harness Magazine—so real women can write real stories, and they don’t have to be perfect. Did you have a gut feeling that a publication like Harness Magazine would resonate with a lot of people? When writers send you their pieces to get published, what do you look for? Our requirements are pretty lax, and I’d like to keep it that way. Obviously, no racist material, sexuality explicit material or offensive material will be published. Tell me about Harness Coaching – what is it, when did it start and why did you start it? Harness Coaching was a natural progression for me. Since I started this journey, I’ve met so many women who’ve told me their stories of wanting to follow their true passions. So unintentionally, I was coaching women long before I made it official with Harness Coaching. I have an undergraduate degree in psychology and a doctorate law degree. Coaching is psychological and I understand how to set up a business. I love talking to people and helping people get their businesses off the ground, so it made sense to formalize my relationships with coaching. I’ve had really amazing experiences with my clients so far. Harness Coaching is for someone who has multiple passions and needs help to narrow in on what they want to get off the ground as a business. Another ideal customer is a small business who knows what their idea is and needs help launching. I can help them formalize their LLC, figure out their media strategy and refine their pitch. I help them work the sales funnel and all the hard stuff you have to do within the first year of starting a business. It’s hard to believe Harness Magazine is your side hustle. What do you do full-time? I’m an attorney at a real estate investment trust. I negotiate contracts for tenants who rent space at malls. I read that entrepreneurship is in your blood, did you always know you wanted to be an entrepreneur? I come from a family of entrepreneurs. My great grandpa started an auto shop which my grandpa took over. Almost all of my uncles and my dad run their own businesses. I grew up with a mentality that being an entrepreneur was the best path to financial freedom and happiness. So it was logical for me to start my own business! Actually, Harness Magazine wasn’t my first business. I started an organic tote bag company that I ran for a year. It was a humbling experience because owning a retail business is so hard. I started Harness Magazine while I was running my tote bag business and I was a new lawyer, so something had to give. I decided to focus on my law career and Harness Magazine. In your opinion, what are the top two things someone should consider before starting a business? My legal brain says research the name, idea and competition. Make sure your finances are set. The other side of my brain says to make sure your new business venture is something you are passionate about because you are going to be working on your new business every moment of your day for a long time. You want to be working on something that makes you happy or is worthwhile or else what is the point? What is the biggest sacrifice you’ve made in running your own business? Balance is hard for me. My husband I have to set aside time to go on dates. It would be nice to come home on a Friday and not worry about doing work on the weekends, but my weekends are so perfectly planned I don’t have a lot of free time to relax. I’d like to have no guilt sometimes. It’s always changing. Ultimately, I hope to see Harness Magazine on newsstands and when you think of a magazine where you read good authentic stories, you will think of Harness Magazine. Having self-doubt can be a big challenge for entrepreneurs—you are your biggest challenge. You have to be easy on yourself. You’re going to fail 100 times. Fail and get up. Don’t be afraid to use the resources you have. You have built a following of 15K Instagram followers, do you have any tips for business owners looking to grow their following? If you are growing your following, you need to think about your end game. For example, for Harness it’s to get more readers and get women to contribute to the publication. You have to be very purposeful about what you’re posting and you have to interact with people organically. Look up hashtags that are purposeful to your brand, find like-minded people and start interacting with them by liking and commenting on their photos. Photography is also key. Think about why you started following some of your favorite accounts? Often they have a unique voice or tone. Find yours. What do you think our Columbus community needs more of? We’re just starting to thrive as a small business community. I think there needs to be a central place for all small business owners to connect in a thoughtful way to push each other forward. I could have chatted with Ashley for hours because she’s the type of person you love to be around. On top of that, she’s offers great business advice so if you’re interested in her coaching services, click here. Also, check out Harness Magazine and support the Ashley and the contributors by purchasing the second print issue here. You can follow the publication on Instagram here as well as Ashley’s personal account @magicinfluencer.